Dee Stephens is a Sustainable Development Team Leader for Natural England in Dorset, who had the exciting task of working with partners on the London 2012 Olympic Games activities in Dorset. Four years on, she tells us about some of her favorite legacy projects. Four years ago the UK aspired to hold the 'greenest Games ever' (possibly outdone by the Rio diving pool!). 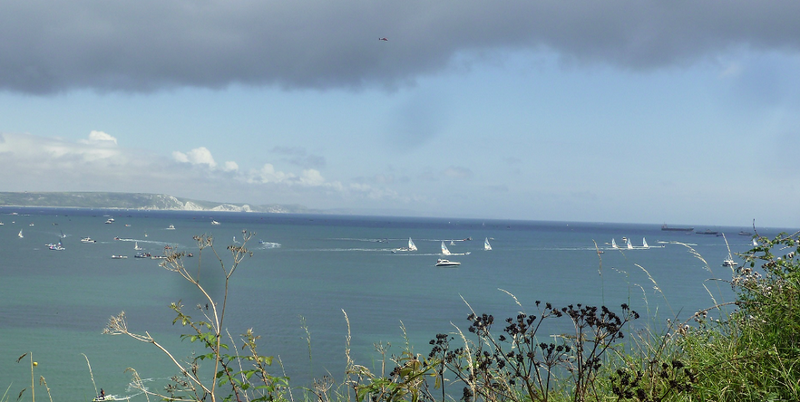 In Dorset, where the sailing events were held, we didn’t make a bad job of it. I led on sustainability for Natural England with local partners, and worked closely with LOCOG (London Organising Committee for the Olympic and Paralympic Games). There were five key aims to the ‘green Games’: combatting climate change, enhancing biodiversity, reducing waste, encouraging healthy living, and promoting inclusion of all different groups. These aims not only shaped the Games themselves - for example, ensuring the sailing events and the development of the National Sailing Academy avoided damage to sensitive marine and coastal areas – but also guided the establishment of legacy projects for the Games. A really exciting Olympic legacy project was the establishment of the first stretch of the England Coast Path between Portland and Lulworth. This gave walkers permanent access to coastal land including stunning beaches and clifftops where everyone can rest, enjoy and admire the views. Overall when completed, the England Coast Path will be the longest continuous coastal walking route in the world (a 2,700 mile path), and it started here. This summer, after marvelling over the athletic achievements of this year’s Olympians, visitors and locals can get fit themselves exploring the ‘Wild about Weymouth and Portland Legacy Trail’. This project is led by the Dorset Wildlife Trust with funding through Natural England. The trail starts at the Trust’s Lorton Meadows reserve to the north of Weymouth, and then takes in the RSPB’s Lodmoor and Radipole Lake reserve. It then runs along the edge of Portland Harbour and the iconic Chesil beach (with the lovely visitor centre built in time for the Games), and then onto the fascinating Portland Quarries Nature Park. The final way marker is close to the lighthouse at the Bill on the southern tip of Portland. 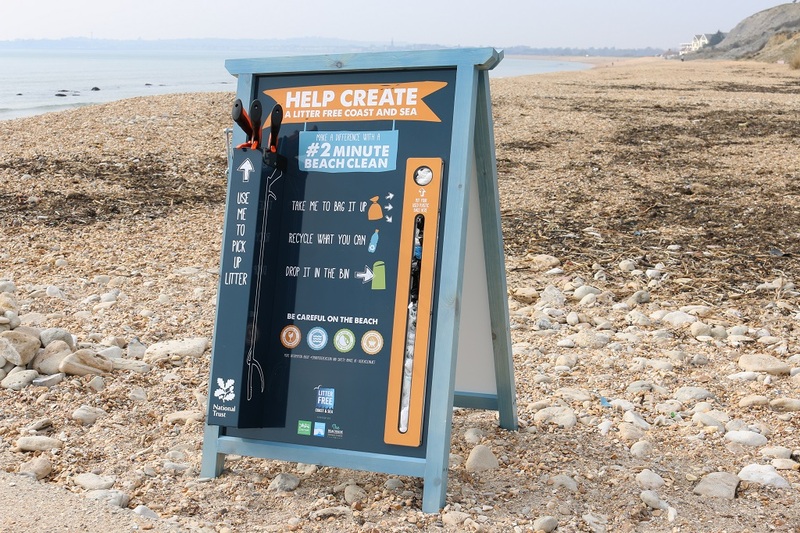 We also initiated the ‘Litter Free Coast and Sea’ campaign supported by Dorset County Council. This project aims to reduce rubbish along the coast. The campaign is helping to deliver clean, safe waters for swimming, fishing, sailing, watersports and wildlife, and also safe clean beaches for people to have fun and relax on. Everyone can get involved – clean up around you before you go by taking your litter home or to the nearest bin, and you can also sign up to volunteer at the project. 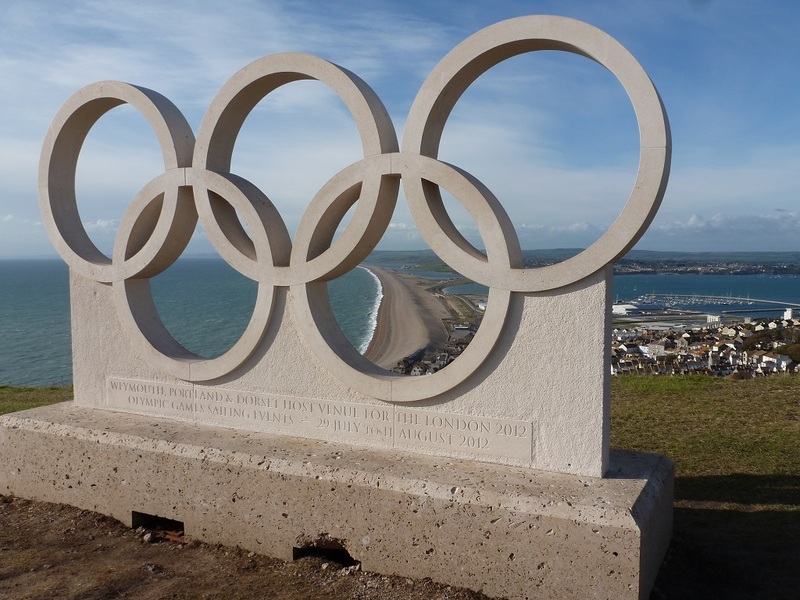 If you're not sure how best to enjoy the delightful Dorset Coast you can also visit iCoast, a website which is full of ideas and information, which was another Olympic legacy project. These were exciting times. All the partners involved worked hard for more than four years in preparation for the Games and then they were over so quickly (with great British success in the sailing and other sports!). Now we can still enjoy the green legacy of the Games in Dorset and build upon this to celebrate, enjoy and care for our world class beautiful coast. I’m very proud to have played a small part in greening the London Olympic Games.